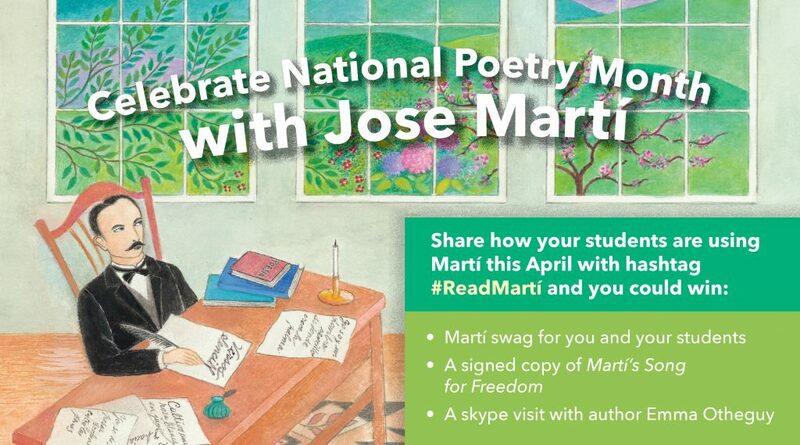 Margarita Engle, Young People’s Poet Laureate, just recommended Martí’s Song for Freedom as her April Book Pick on the Poetry Foundation blog. She writes, “This is a book that will make Cuban-Americans weep, smile, and sigh, while making other Americans long to know more about Cuba.” This is just what I hoped to do through Martí’s Song for Freedom. 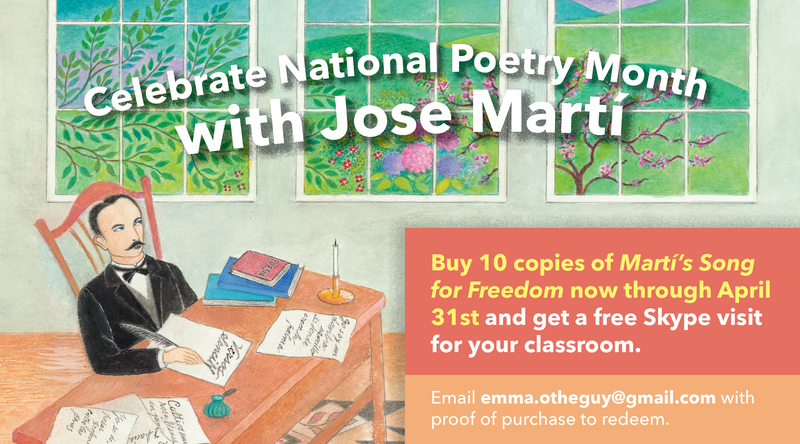 Thank you for reading Margarita!